Check out for the Baazaar 2018 Hindi Trailer Stills Images wiki details and release date. The makers of the movie have released the official trailer of the movie on 25th September 2018 under Viacom18 Motion Pictures label. The trailer of the movie has got the positive response from audience and critics. From the trailer of the movie, it can be said that the movie revolves around money. The movie is slated to hit theaters on 26th October 2018 worldwide. The trailer of the movie has been shared by cast and crew over social networking site. 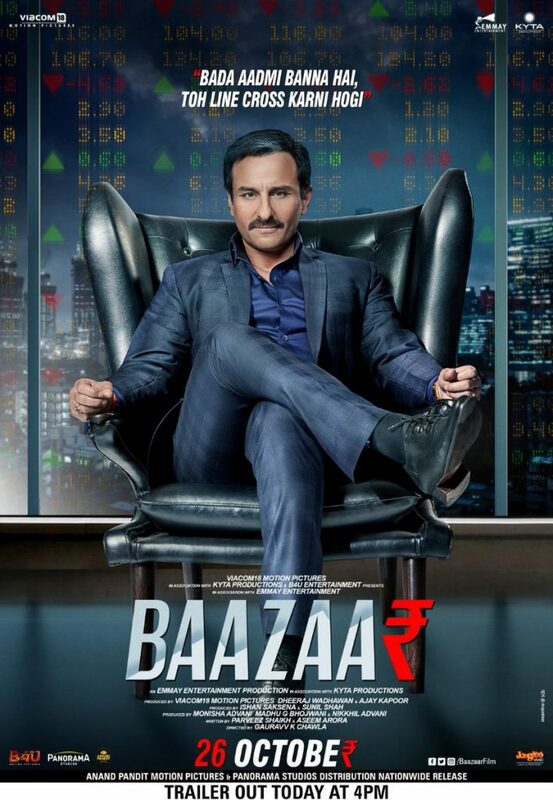 The direction of the upcoming Baazaar 2018 Hindi movie is directed by Gauravv K. Chawla. The movie is produced by Nikkhil Advani under production banner of Viacom18 Motion Pictures, Kyta Productions, Emmay Entertainment, and B4U Movies. The story of the movie is written by Parveez Shaikh and Aseem Arora. The screenplay narration of the movie is narrated by Nikkhil Advani, Parveez Sheikh, and Aseem Arora. 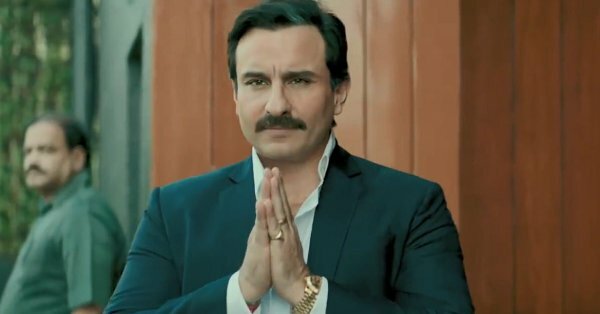 Baazaar 2018 Hindi movie is starring Saif Ali Khan, Radhika Apte, Chitrangda Singh, Denzil Smith, and Rohan Mehra are in lead roles. While Atul Kulkarni, Saurabh Shukla, Pawan Chopra, and Anupriya Goenka are in pivotal roles. The music composition of the movie is composed by Tanishk Bagchi, Yo Yo Honey Singh, Bilal Saeed, Kanika Kapoor and Sohail Sen. The background score of the movie is given by John Stewart Eduri. The cinematography of the movie is handled by Swapnil Sonawane. The editing work is done by Maahir Zaveri and Arjun Srivastava.